Greetings from our WoodWeek team. Another positive week for growing our industry. Changes to the Emissions Trading Scheme (ETS) will see 89 million more trees planted in the coming years. Forestry Minister Shane Jones and Climate Change Minister James Shaw announced a second set of changes to the Emission Trading Scheme (ETS) as part of broader reforms to make the scheme fit-for-purpose. Continuing with the subject of tree-planting New Zealand's billion trees planting project has attracted the some of international timber sector players interested in growing much more than raw radiata logs. A director of Kronospan, the world's largest manufacturer of wood-based boards and panels, was among European visitors recently to New Zealand forests. Call me cynical, but I’m sure they sensed a good deal worth sniffing out when they heard those three magical words “government, subsidy, and trees”. Late last week, Forestry Minister Shane Jones and Climate Change Minister James Shaw announced a second set of changes to the Emission Trading Scheme (ETS) as part of broader reforms to make the scheme fit-for-purpose. 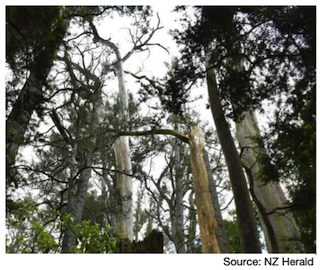 “This announcement includes the introduction of averaging accounting for all forests registered from January 1 2021 and the option to use the new accounting method for all forests registered in 2019 and 2020,” Shane Jones said. The changes were developed by the Ministry for Primary Industries, Te Uru R?kau and Ministry for the Environment following consultations in 2018. • Six further minor and technical changes to resolve ‘bugs’ in the system and enable better operation of the ETS over the long term. 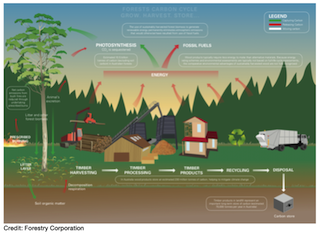 •	The current forestry accounting approach (carbon stock change) requires a participant to account for any loss of carbon in their forests, even if that loss is temporary. •	This means when trees are harvested, foresters must pay to the Crown a significant amount of the New Zealand Units (NZUs) they have earned from a forest’s growth, even if the forest will be re-planted. •	Under ‘averaging’ accounting, there is no longer a need to surrender NZUs upon harvesting. 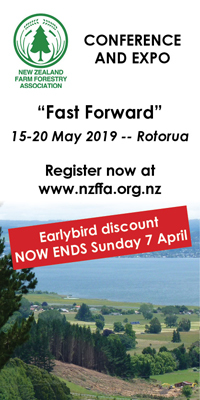 Participants will instead receive NZUs as their forest grows, up to a determined average level of long term carbon storage, and will not face any liabilities on harvest if they replant. 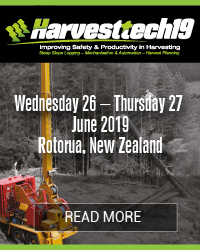 •	Averaging also reduces the costs and complexity for forest owners, and gives them freedom to trade NZUs as they will not have to be surrendered at harvest – increasing the incentive to plant forests through the ETS. New Zealand's billion trees planting project has attracted the eye of some of the world's most deep-pocketed timber sector players interested in growing much more than raw radiata logs. A director of Kronospan, the world's largest manufacturer of wood-based boards and panels, was among European visitors recently to New Zealand forests and the Beehive office of Forestry and Regional Development Minister Shane Jones, as they explored investment opportunities. "One billion trees by 2028" is Jones' brainchild. He wants one billion trees - including native trees - planted between 2018 and 2028, with support funding available from the Government. It is estimated about half that number will be achieved by existing industry planting programmes. Kauri is awaiting word from the Overseas Investment Office on whether it's cleared to buy 5000 hectares of Wairarapa and Northland land to further its programme of growing sustainable native tree and radiata forests for commercial timber use. Coming from Europe, where commercial forests and farms are many hundreds of years old and intergenerationally-owned and managed, the pair are big fans of the Government's billion trees project for its drive to build a long-term, sustainable forestry industry, its support for ecosystems, and its potential contribution to climate change management through this country's Emissions Trading Scheme (ETS). Graf von Westphalen called one billion trees a "beautiful" programme. Brian Fallow: No hiding in the forests with climate change - For too long New Zealand has been entangled in the net of "net" emissions. And the Government's swift rejection this week of a key recommendation from the Parliamentary Commissioner for the Environment, Simon Upton, suggests we will remain so ensnared. We have been complacent about relentless growth in emissions of carbon dioxide, and have met our international obligations, because they have been offset by the CO2 taken up by trees in an expanding forest estate. Policymakers have suffered from a kind of collective wilful blindness, an unwillingness to really confront the obvious fact that trees can only provide a temporary store of carbon before they are harvested or succumb to other risks like fire or pests and diseases. And climate change, Upton reminds us, only increases those risks. Even totara of the most venerable antiquity will eventually keel over and rot. Hence the central recommendation of the Parliamentary Commissioner's report this week: that forest sinks should ultimately — after a transition that would need to be carefully managed — be used only to offset the "biological" emissions of methane and nitrous oxide arising from the bodily functions of livestock, and not to offset CO2 emissions from the use of fossil fuels. Those CO2 emissions, because they accumulate in the atmosphere, are the planetary equivalent of turning up a thermostat that cannot be turned down, Upton says. They need to be reduced to zero. Log export market graphics - This week we've got our monthly update from the Champion Freight team. The chart shows total log export values to China year-on-year to the end of February were up 19 percent year-on-year contributing to overall log exports growing 17 percent across all markets. To the end of February, China shipments month-on-month are up 32 percent and overall log exports up 28 percent. Improving access to China for exports of New Zealand wood and paper products are among key areas of focus for Prime Minister Jacinda Ardern in her talks in Beijing earlier this week. Briefing media ahead of her lightning dash to the capital of the country's largest trading partner, Ardern said progressing the upgrade of the 11-year-old free trade agreement with China was among priorities in her meetings with China's two most powerful leaders, President Xi Xinping and Premier Le Keqiang. She indicated the most productive focus was likely to be on areas where there was not already a phased reduction in barriers to access. "There are areas on a phased approach that continue to improve over time," she said. 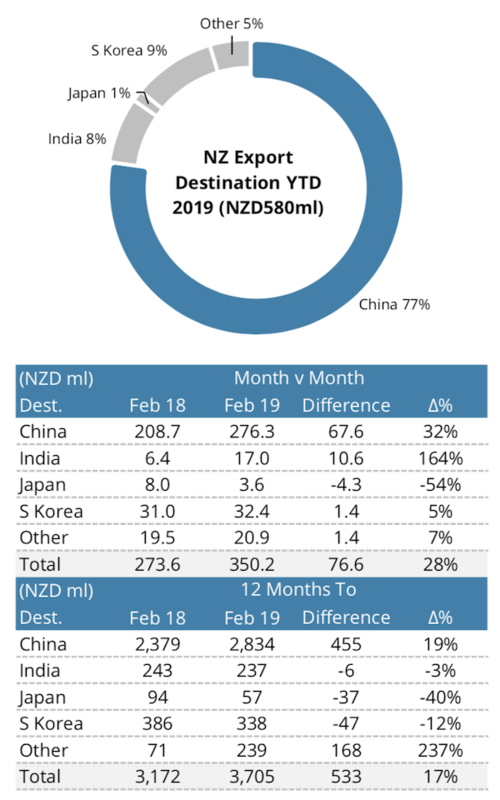 Dairy products, accounting for one-third of all New Zealand exports to China, are among those covered by tariff and quota reductions through the early part of the next decade. "So it's focusing on those areas that may be in addition to that. "Wood and paper are the kinds of things being debated." Forestry exports are the second largest source of exports to China, accounting for 23 percent of the $13.9 billion of total exports to China in 2018. Ardern said she had had "quite specific discussions with Li in the past and that may happen again". She will lunch with the Premier on the one-day trip, which was cut from a three-city state visit earlier this month. Trade Minister David Parker will pick up the slack, leading a trade delegation to China later in April. He will also attend an international forum on China's strategic economic and political initiative known as the Belt and Road. Further to political items on Prime Minister Ardern's China trip, trade was on the list this week - The free trade deal between New Zealand and China was signed in Beijing in 2008; more than 10 years later talks to upgrade the deal are well underway, with a seventh round of negotiations being arranged at the moment. The 2008 FTA has trebled two-way trade from about $8 billion a year, to more than $28 billion. The upgrade talks are about removing both tariff and non-tariff barriers for key export industries including e-commerce and agriculture and re-examining some of the trade rules. Under the original deal dairy tariffs will be completely removed for most products by 2022, and milk powder by 2025, so it's unlikely New Zealand negotiators would be looking to trade away too many other potential benefits, even if the dairy tariff removals are still some years away. One industry looking for gains is forest owners, who are pushing for lower tariffs on processed wood products. David Rhodes, chief executive of the Forest Owners' Association, said their "big prize" would be having the tariff differential between raw and processed wood products removed. It would be a "win-win" if more could be processed in New Zealand and exported to China, he said. "Because there are a number of issues China is grappling with with respect to energy etc, there are a number of ways both countries could benefit." Former trade negotiator Charles Finny questioned the benefit of even persisting with the upgrade negotiations. "There's nothing big that China wants that we can give.... I think that China is probably going to be wanting some concessions from us in terms of more open immigration rules, right to work, and also investment, and we've tightened them in both spaces." Of more concern, said Mr Finny, was the trade deal being hammered out between the US and China. "Because it looks to me, that China's just going to buy more of some products from the United States. "And it's possible that some of those products are products that we export... so I'm watching this very closely." One of New Zealand’s largest independent forestry service providers, FOMS, has announced a rebrand of its operations to Forest360 - Since its formation in 2004, the privately-owned company has become one of New Zealand’s largest independent log procurement, harvesting and marketing service providers, with forestry operations spanning across the North Island. The relaunch of the FOMS brand follows its recent merger with Woodnet, a forestry and marginal land-use advisory and management company that has been operating nationwide since 1999. The relaunch will bring together the respective operations of each company under the new name, Forest360. The corporate rebrand also includes a new logo and positioning statement, Growing your future. 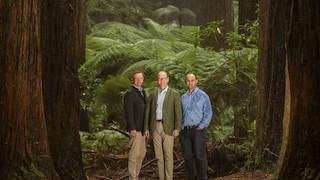 Mr Gaddum says Forest360 will continue to build upon Woodnet’s position as one of New Zealand’s leading Emission Trading Scheme (ETS) specialists through its work in the landuse, environment and conservation space. Cross-laminated timber, CLT, explains the expansion of multi-storey wood buildings in the world. 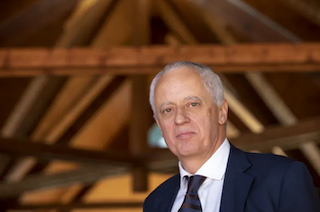 Gerhard Schickhofer is awarded the 2019 Marcus Wallenberg Prize for research and knowledge transfer behind the stable and eco- friendly material. Using sustainable wood in construction contributes to climate change mitigation. The manufacturing and processing emissions for wood are lower than those of concrete, bricks and steel responsible for between eight and 15 per cent of greenhouse gas emissions worldwide. Wooden materials extend carbon storage from the forest to the building – for decades, or even centuries – while replanted trees continue the carbon sequestration process. Other emissions savings would be made at end-of-life by landfilling the timber waste or using it as a substitute for fossil fuels to generate energy. Scion research shows that if New Zealand swap's just 30 per cent of our petroleum-based liquid fuel for cleaner, greener biofuel made from renewable feedstocks like fast growing trees, we would reduce greenhouse gas emissions to the equivalent of taking half the cars off the road. On the East Coast alone this would involve planting one and a half times more trees and investing $1 billion into infrastructure, creating 1,000 new jobs. Final report on fatal helicopter crash, Glenbervie Forest Northland, Oct 2016 - AO- 2016-007 Collision with terrain Robinson R44, ZK-HTH, Glenbervie Forest, Northland, 31 October 2016. The Transport Accident Investigation Commission has published its Final Report on the fatal crash of a Robinson R44 helicopter into Glenbervie Forest near Whangarei in October 2016. The two occupants – the pilot and a forestry contractor – died in the crash, and the helicopter was consumed by fire. Captain Tim Burfoot, the Chief Investigator of Accidents, says the helicopter had been conducting survey work and had just crossed a ridge when it crashed into dense bush. The helicopter did not break up before entering the trees, and although there were indications of mast bumping this was likely due to the dynamics of the helicopter entering the bush with its main rotors still turning. An extension had been fitted to the cyclic control (controls helicopter direction) that could have enabled the passenger to control the cyclic stick. It was not possible to determine why the extension was installed, nor if it was being used at the time of the accident or at any time during the flight. Another consideration was that a bolt that was a part of the main rotor assembly was missing. It is virtually certain to have come out of position during the impact sequence, meaning it did not contribute to the accident. Still more possibilities rejected and described in the report include defects affecting engine, power, or fuel systems; a medical event affecting the pilot or contractor; and bird strike. Capt. Burfoot said the Commission had made no new recommendation beyond the existing recommendation for flight data recorders. On a 'Rural Delivery' television programme last year Prof Steve Wratten of Lincoln University described Miscanthus as a “magic plant”. Although there was a degree of poetic licence in that statement, it is very understandable why he described Miscanthus in that way. But there are no magicians involved. Miscanthus is a truly remarkable plant that has so many advantages and options for commercial use that people who hear about it tend to think “This is too good to be true!”. - Being very resistant to diseases and pests. Carlsberg glues beer cans together: One of the first breweries to abandon plastic rings - Carlsberg beer cans are to be stuck together with glue as it becomes one of the first brewers to abandon plastic rings. The Danish firm said the move, which has been heralded as a world-first, to attach its multi-packs with adhesive will reduce the use of plastic to package products by 75 per cent. 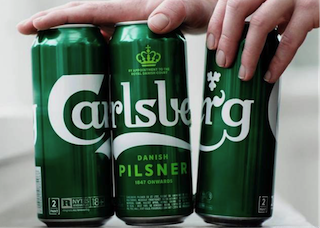 After a three-year development process, Carlsberg insists the dots of glue bonding its new "Snap Packs" are strong enough to withstand journeys from shelves to homes, yet sufficiently brittle to break when twisted. The eco-friendly packaging innovation will be debuted in the UK, where 30 per cent of Carlsberg's beer output is drunk every year. At a launch event in Copenhagen, inventor Christopher Stuhlmann revealed how a trip to his local DIY store helped convince him that his brainwave could become a reality. Physicians were unable to reach a consensus on whether the UK should Brexit. The Allergists were in favour of scratching it, but the Dermatologists advised not to make any rash moves. The Gastroenterologist's had sort of a gut feeling about it, but the Neurologists thought May had a lot of nerve. Meanwhile, Obstetricians felt certain everyone was labouring under a misconception, while the Ophthalmologists considered the idea short sighted. Pathologists yelled, "Over my dead body!" while the Paediatricians said, "Oh, grow up! The Psychiatrists thought the whole idea was madness, while the Radiologists could see right through it. Surgeons decided to wash their hands of the whole thing and the GPs claimed it would indeed be a bitter pill to swallow. The Plastic Surgeons opined that this proposal would "put a whole new face on the matter." The Podiatrists thought it was a step forward, but the Urologists were pissed off at the whole idea. Anaesthesiologists thought the whole idea was a gas, and those lofty Cardiologists didn't have the heart to say no. In the end, the Proctologists won out, leaving the entire decision up to the a**holes in Parliament! A Fellow walks into a bar, takes a stool up the end of the bar on his own, orders a drink and sits quietly on his own. All of a sudden, out of nowhere comes this voice, "I like your hair!". He looks around the bar, see's no one, decides to ignore it. A couple of minutes later, "Your tie looks good too!" Again, he looks around. No one he can see. Checks under the stool, looks behind the bar, no one around at all! This makes him feel a little on edge. He decides to forget it and just have another drink. Finally, "Your cheekbones really accentuate the shape of your face." Thats it he thinks. "Barman, BARMAN!!! ", he yells as he bangs his fist on the bar. The barman comes straight down to him. "Yes sir, what is it?" "Well, ever since I came in here today there has been a little voice that keeps talking to me!" "Oh well sir, I think you'll find that will be the peanuts", he said, pointing to a bowl in front of the fellow. "What? The peanuts?" He didn't understand. "Well sir, they're complimentary!"